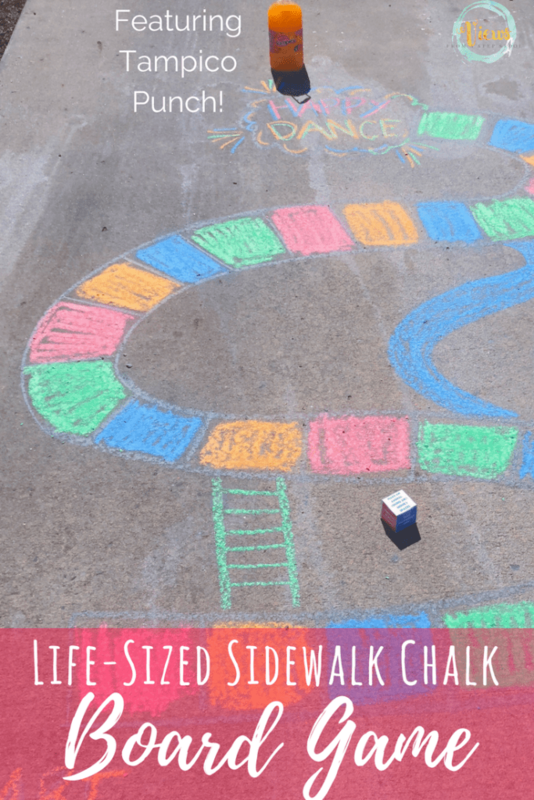 This outdoor sidewalk chalk board game is the perfect outside activity for families. Simple to make and tons of family fun to play with. 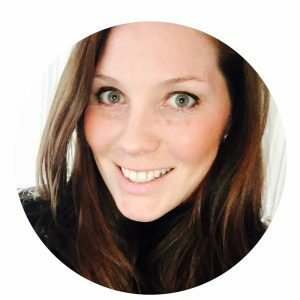 Spring is such a fun time to get outside with kids! One of my kids’ favorite things to drink is a cold glass of Tampico punch. Tampico just went through a brand refresh—just in time for spring! With a new look and feel, Imaginatively Curious Tampico is as irresistible as ever. 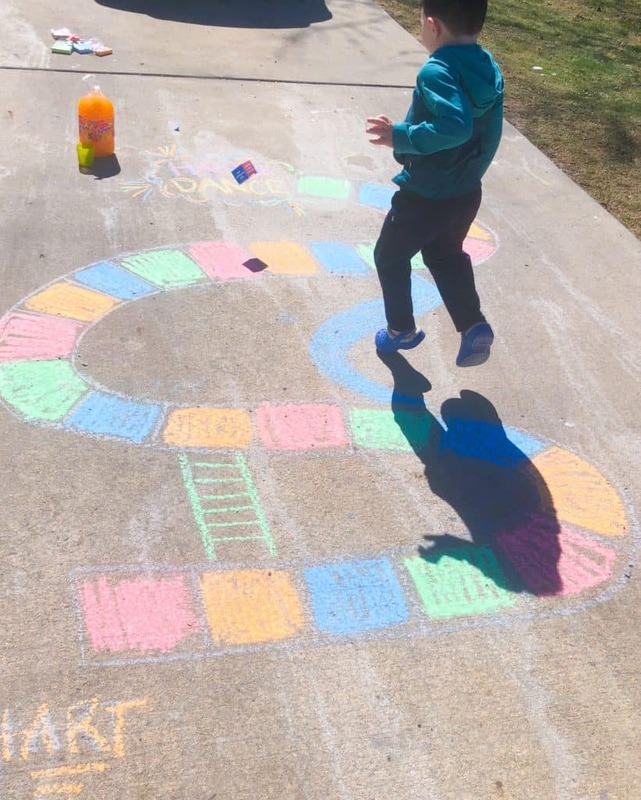 The colors of the refresh are so vibrant, and were the perfect inspiration for our life-sized sidewalk chalk board game, featuring their colors and names! 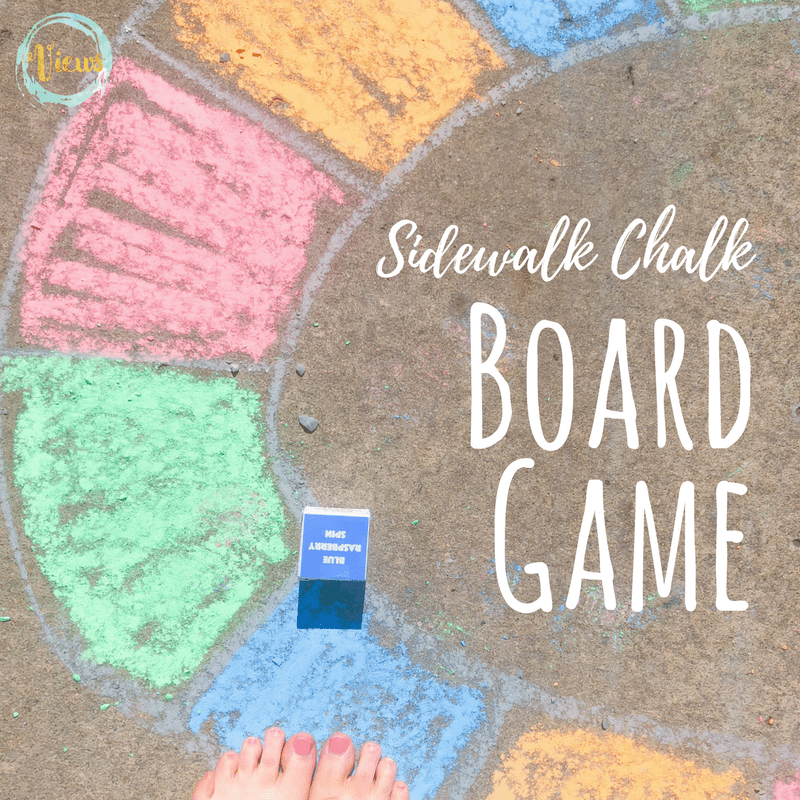 We took one of our favorite activities, playing a board game, and a refreshing drink and created a fun outdoor activity to do with kids! Grab a bottle of Tampico punch! The colors are so fun! We chose Mango Punch to play with, and also included Blue Raspberry Punch, Kiwi Strawberry Punch and Mango Punch on our game board. Print off the printable dice below so that you can play with these flavors too! 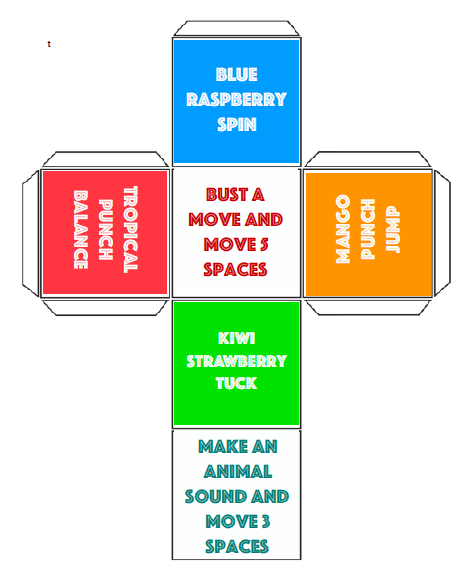 Each color has a move to go with the flavor, and the dice includes to other fun spaces, ‘bust a move’ and ‘make an animal sound’. Click on the image below to print your dice! Then cut out, fold and glue to create (best on heavy paper like card stock). 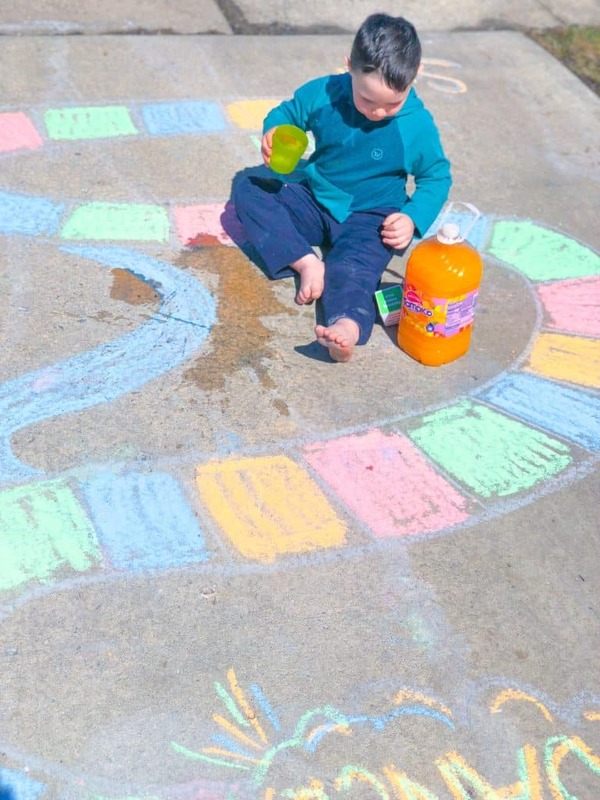 Once you have your punch and your dice, grab a box of sidewalk chalk and head outside! 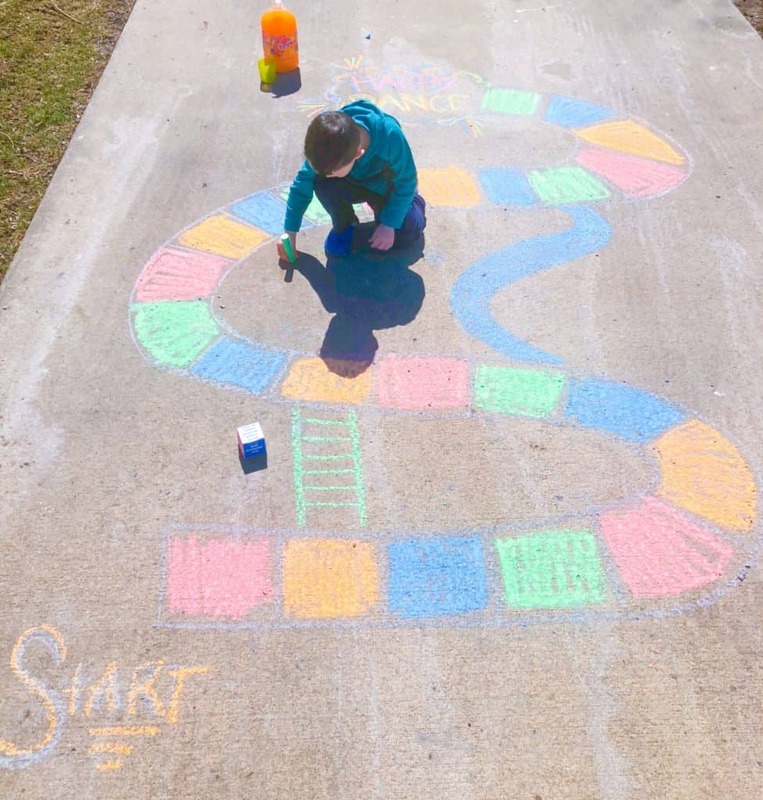 Draw a basic ‘S’ shape on the sidewalk to start your game board. Continue adding lines to create spaces, along with a start and a finish. We like to make the finish line a happy dance area! Add a couple of ladder or slides to give your game an extra level of difficulty. If kids land on a ladder they climb up the board, and a slide means they have to slide back down. •bust a move and move 5 spaces: count 5 spaces forward and do a cool move! •make an animal sound and move 3 spaces: count 3 spaces forward and make an animal noise! 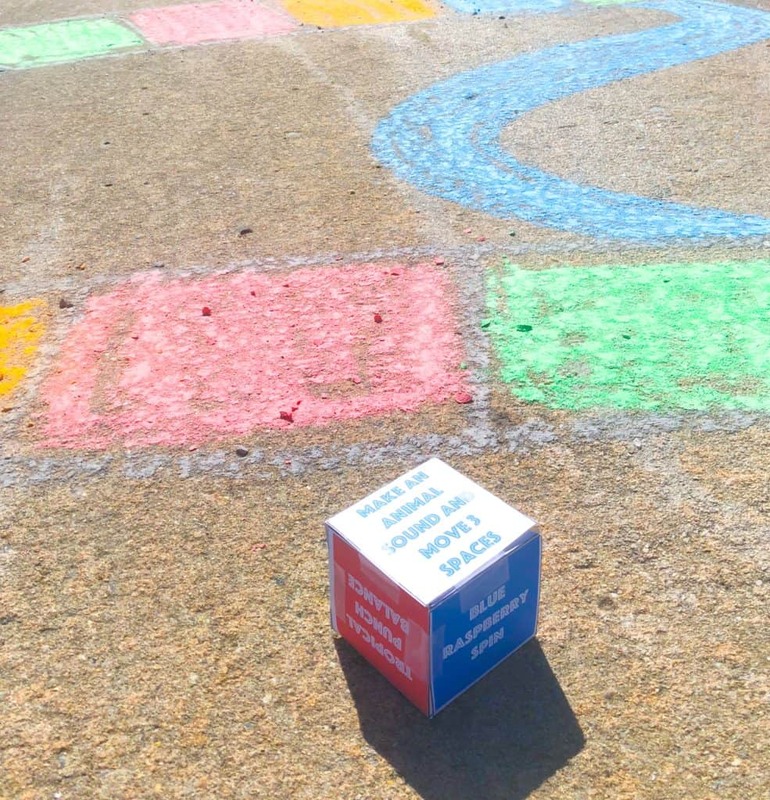 Kids can start at the beginning of the game board and take turns rolling the dice to move along the game board. 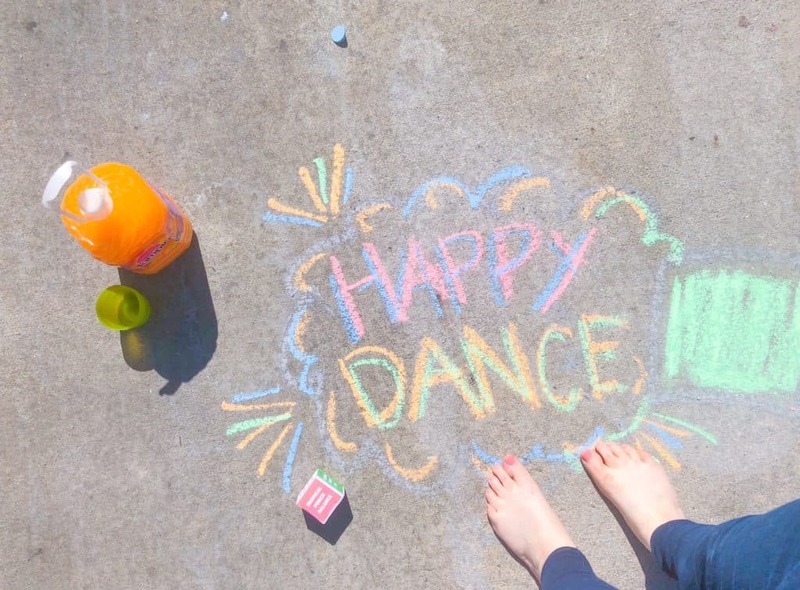 The first one to the ‘happy dance’ area wins! Once all players have reached the happy dance zone, enjoy a nice refreshing glass of Tampico punch to cool down. Then play again! 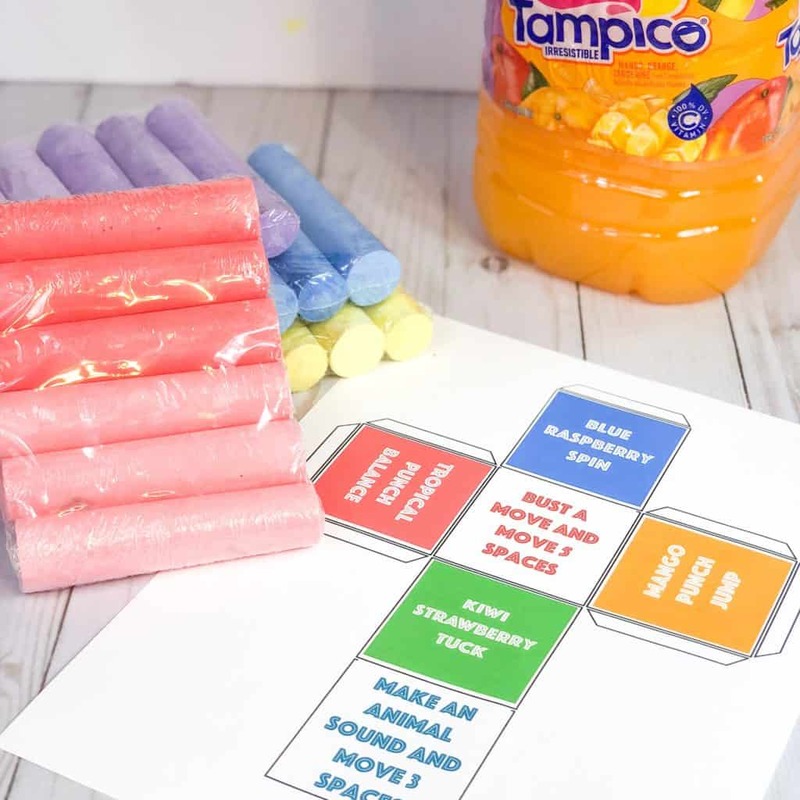 Have too much fun with your Tampico punch sidewalk chalk board game, and #SpringIntoFun! *This post is sponsored by Tampico punch. All opinions expressed are my own.